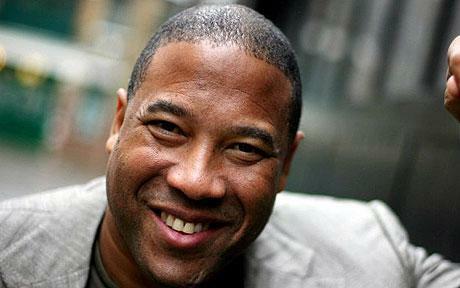 You've just got to love John Barnes! On Talksport he really took apart all the holier-than-thou, faceless and politically correct "journos" who have simply jumped on the bandwagon of the Luis Suarez affair. Barnes--a great player for Liverpool and someone who often had to deal with racist chants throughout his career--correctly made the point that legislation will never lead to a society free of racism. As he points out, there is legislation against theft, but there are still people who steal: that's not to say some legislation is not required, but the main emphasis has to be on education. Barnes states that he's not interested in punishment, but wants to change the mind set of people in society--and simply legislating will never do that. It's pathetic really how politically correct the U.K. has become while being empty--at least as regards the press and bureaucracy--of any true respect and compassion for those who suffer.